In our previous blog post, we touched on methods to choose, arrange, and support healthy shrubs and trees in your yard. 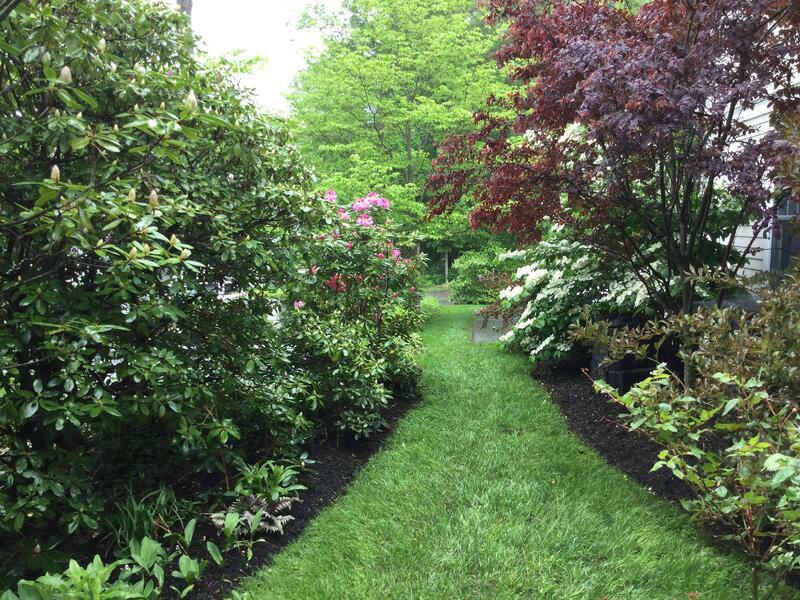 For this post, we will be talking about ways to maintain your yard over the long run. We’ll also address how you can use vegetation to make your home more energy efficient, thereby reducing your overall environmental footprint. It’s always ideal to use organic methods to keep pests out of your flowers and vegetables. There are dozens of natural methods of pest control, tactics that don’t require spraying your yard with harmful chemicals. These include common compounds like garlic, vinegar, and crushed eggshells to stave off harmful pests. Of course, for certain types of pests – including slugs, beetles, and worms – hand picking is the most efficient and least harmful method of protecting your plants. Removing pests manually may seem like a tedious undertaking, but it can actually be quite relaxing and fulfilling. For larger pests, consider using mesh fencing or an elevated platform to keep plants where small animals can’t get to them. We mentioned it in our previous post, but it bears repeating in light of recent news stories. Not only could chemicals harm your yard, they now may potentially harm you and your family. Only a few weeks ago, a groundskeeper in San Francisco was awarded $289 million in a class action lawsuit against Monsanto, the company that makes Roundup weed killer. Jurors found a connection to his long-term use of the chemical at work and his diagnosis with non-Hodgkin’s lymphoma. Hundreds of other pending cases against Monsanto are now expected to go forward based on this ruling. The message is clear – stick to organic growth compounds and fertilizer made from organic materials. You may not get the powerful, short-term growth that comes from man made chemicals, but in turn you will be building a much more sustainably healthy yard, while protecting your own personal well-being. Believe it or not, the plants you select in your yard can actually have an affect on how well your home is heated or cooled. Some trees and shrubs will even reduce the emission of greenhouse gases from your home. Massachusetts is considered a temperate climate by the USDA. That means you should try to put your plants on the north side of your yard where they can trap sunlight in the winter but block out intense sun rays in the summer. According to the Department of Energy, providing shade for windows that receive direct sunlight is a wise idea, since most buildings take in more heat through windows than walls. Simply planting shade for your air conditioning unit can increase its efficiency by up to 10%. Finally, if you have asphalt on your driveway or a darker patio or hardscaping, make sure to plant some shade around these structures. These surfaces absorb and reflect heat in the summer, so shade will make them more comfortable for people and prevent excessive heat from being released into surrounding structures. 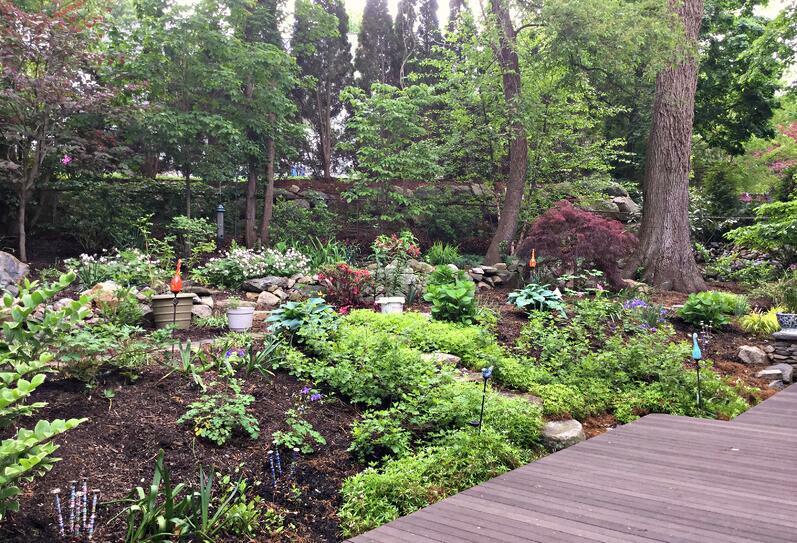 There are several easy steps you can take to ensure that your landscaping is in harmony with the natural world around you. These ideas are just a handful of examples. For more assistance with planning your yard to minimize negative impact on the environment, contact the specialists at Moodscapes today.